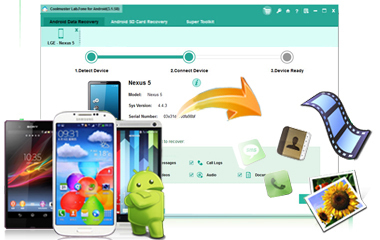 Marvelous Data Recovery Tool Handles All Recovery Jobs for Android Devices! Recover photos, videos and music from Android SD cards. 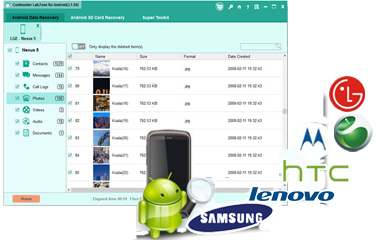 Retrieve deleted call logs, contacts and text messages from Android internal memory cards & SIM cards. Support to recover data from SD card directly without your phone. Friendly UI, support all Android phones and tablets. 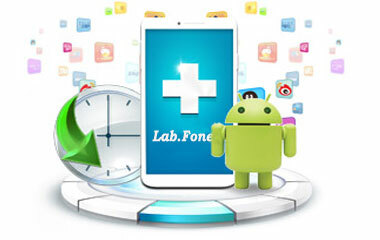 Lab.Fone for Android is engaged in recovering Android data lost due to deleting, restoring factory settings, flashing ROM, rooting, water damaged, screen broken and more scenarios (Learn how to recover lost data from broken Samsung). You need only 3 simple mouse clicks to accomplish the whole data recovery process for your Android phone or Android tablet. 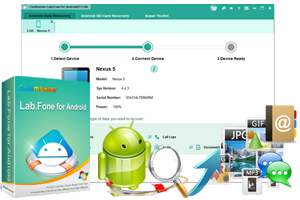 First click - Click to run the data recovery software for Android and connect your Android handset to the computer. Second click - Click to scan the connected Android device for lost data you want to recover. Final click - Click to kick off the Android file recovery process after you preview the scanned out data. As we all know, Android files are generally located in both Android internal memory card and external SD card. Lab.Fone for Android is able to access and extract all the lost data from both the internal and external memory cards of an Android device. Regain lost sent & received SMS text messages and export them to computer in HTML files for easy reading and printing. Restore deleted contacts and save them in HTML format, with all contact information like names, numbers, emails, job titles, addresses, etc. well preserved. Recover deleted call history and save them in HTML format, with all information like names, numbers, date, duration, etc. well preserved. Retrieve photos, videos, music and documents lost from SD cards inside Android devices to a computer in original quality and formats. Here is a guide about how to recover data from Android SD card. Data saved in the Android internal memory card is inaccessible on computer directly. One thing that makes Coolmuster Lab.Fone for Android a professional program is its optional retrieve, which means you can select what you exactly want to recover to your computer. All the data will be scanned out, including the lost data and the existing ones. They will display in different colors, lost data is in red color and existing ones are in black, so you can easily recover what you want. Before you start the recovery, you can preview all the scanned out data listed in categories beforehand. You are allowed to check them one after another to decide whether to restore it. Coolmuster Lab.Fone for Android guarantees a 100% safe and risk-free data recovery process on your Android device, it will keep all the recovered Android data original, no damage or modification at all. 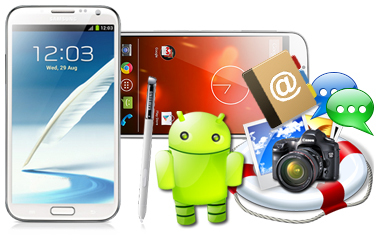 Mobile phones and tablets from Samsung, HTC, LG, Sony, Motorola, ZET, Huawei, etc. are all fully compatible with this excellent Android data recovering program. It also runs well on almost all of the Android OS versions available. To enjoy a complete recovery process, you'd better root your Android phone beforehand. Here is a detailed article to show you how to get your Android device rooted. Work well on all Windows platforms, including Windows 10/8/7/Vista/XP. 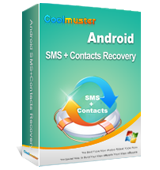 Coolmuster Android Assistant is a professional Android managing program for Android users to manage Android contacts, call logs, text messages, media, apps, etc. freely on Windows PC. Learn more by checking in.